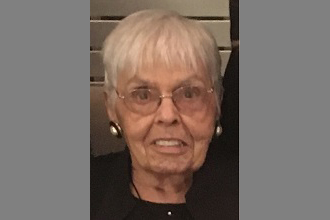 May 25, 2018: Mary Risden Randall, age 90, died at Calvary Hospital in the Bronx on May 15, 2018, as the result of complications from a heart condition and COPD. Mary ("Mimi" to her family), was born on January 12, 1928, and raised in Greenwich, Connecticut. She was the youngest of five siblings. She graduated from Greenwich High School. Mary worked for the Bell Telephone Company in Philadelphia and AT&T in White Plains until her retirement in 1989. She started as a secretary, rose to an overseas telephone operator, and ultimately became a manager in the HR department. Mary married Jack Paul Randall (deceased 2003) in 1959 and moved to Bronxville in 1963. Mary and Jack loved the community. Mary sat on the board of the YWCA in Mount Vernon for many years, helping to raise funds and build programs for the children. She also volunteered with the League of Women Voters, among other volunteer activities. She loved music and sang for many years with the employee singing group at AT&T. 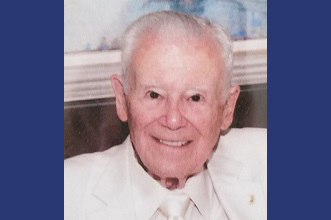 Calling hours at the Fred H. McGrath & Son Funeral Home in Bronxville are between the hours of 4:00 and 8:00 pm on Thursday, May 31. A memorial service will take place at The Reformed Church of Bronxville on Friday, June 1, at 10:00 am. Immediately following the ceremony, there will be a reception in the Edwards Room at the church. All are welcome. In lieu of flowers, donations can be made to The Reformed Church of Bronxville Music Enhancement Fund (Jill, Jack, and all her grandchildren have participated in the music program) at http://www.reformedchurch.org/ways-to-honor-loved-ones/; or the Alzheimer’s Foundation at https://act.alz.org/site/Donation2?df_id=32112&32112.donation=form1&set.custom.wt=nov-b.